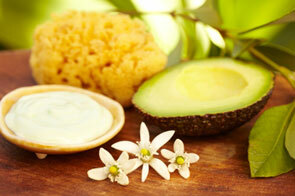 Belle Isle beauty salon Manly, Northern Beaches offers a range of facial treatments to suit very need. All our staff are highly trained and experienced ensuring you get the best possible result. Come and enjoy a relaxing facial treatment in a friendly and relaxing environment. Call us to book your treatment or just pop in to see if we have availability. 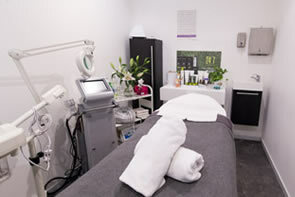 With every facial we analyse your skin and use specific products designed to suit your skins needs. Offering professional, fully qualified advice and recommend home care products if requested. A specialised treatment for complete pampering. Suited to your skin needs this facial includes eyelash and eyebrow tint, eyebrow tidy, full skin analysis, cleanse, exfoliation, steam, mask and our famous Belle Isle deluxe massage of the face, back, shoulders, decolletage and hands. A classic style facial including eyebrow tidy, full skin analysis, cleanse, exfoliation, steam and our deluxe massage and mask. Our time saver facial - this express treatment includes skin analysis, cleanse, exfoliation, steam, express massage and mask. For people on the go includes skin analysis, cleanse, exfoliation, steam and face mask. Clairderm microdermabrasion improves the appearance of all imperfections and illuminates dull and stressed skin after just one treatment. Helps maintain a brighter, cleaner, firmer and healthier skin. Outstanding results for congested skin, open pores, sun damage and minor scarring. Includes express facial treatment. For a more intensive facial treatment add on a multi-vitamin peel for only $18. Belle Isle Beauty Salon, Shop 5, 27 Belgrave Street, Manly, 2095.